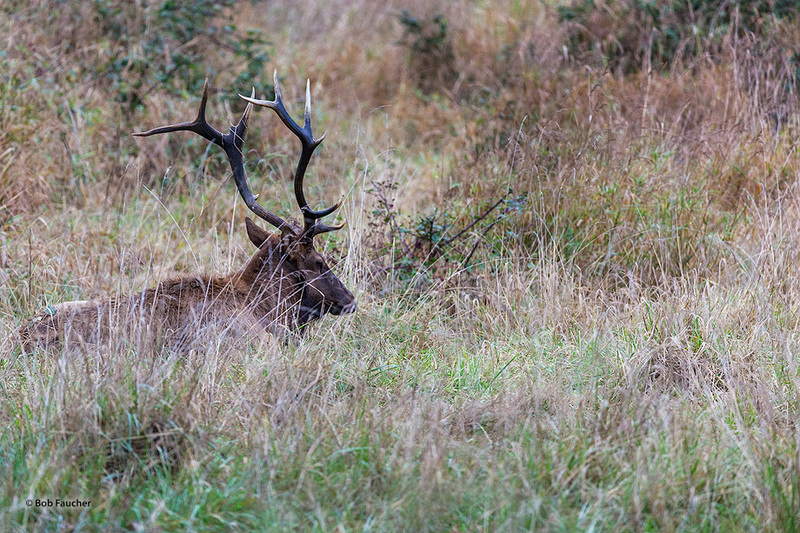 I watched this bull elk sit almost motionless for a very long time, staring intently, while the remainder of the herd rose from their beds to begin grazing. His focus remained, undaunted. Not until I noted the slightest movement in the grass where his attention was focused did I realize there was a small calf, camouflaged by the grasses, bedded near him. You can see the eye of the calf in a small opening between the grasses. Photo © copyright by Robert Faucher.